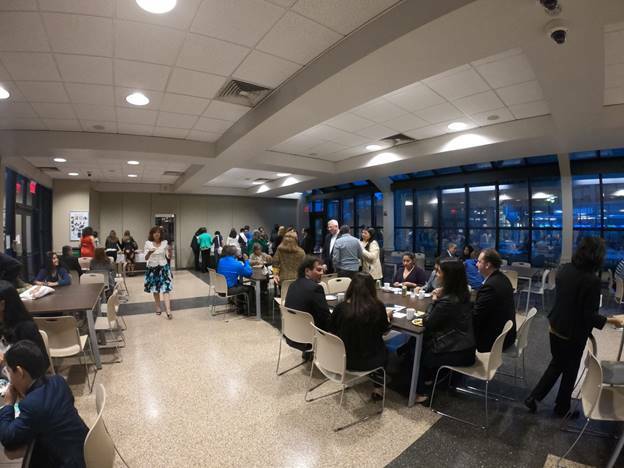 After a year of spiritual preparation, students throughout our Idente parishes joyfully received the holy sacraments of Baptism, First Communion, and Confirmation on April 20 during Holy Saturday of the Easter Vigil. 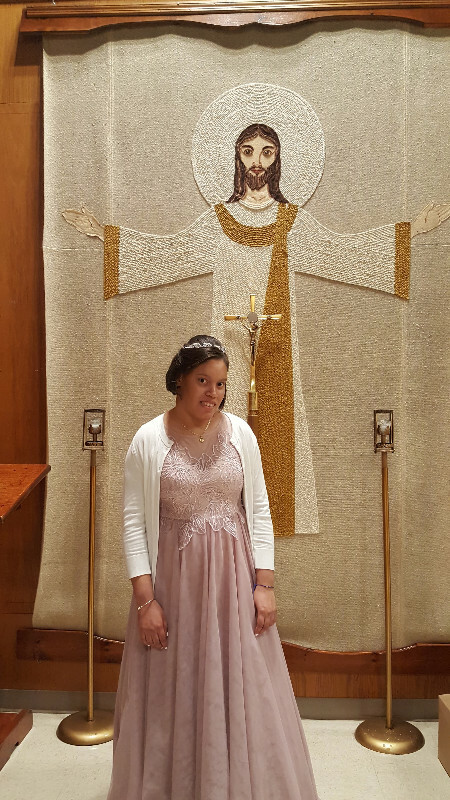 This included kids, teens, and adults from our Long Island churches: Our Lady of Loretto in Hempstead and St. Luke’s in Brentwood, where for the first time two young adults with disabilities were given their First Holy Communion. 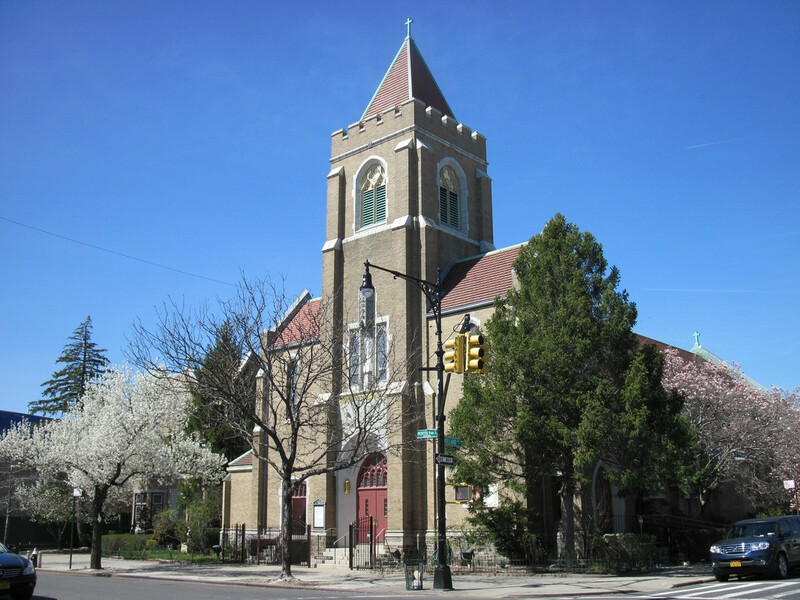 Likewise, the sacraments were celebrated at our churches in the Bronx: Our Lady of Solace and St. Dominic’s. 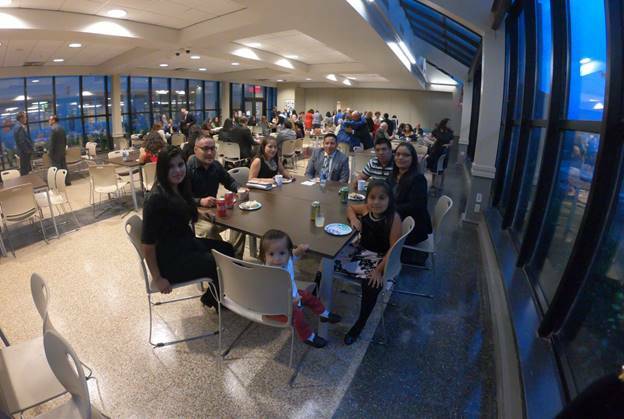 Families came together in great numbers to share in this great celebration of union with our Heavenly Father. With gladness in our hearts, we rejoice in gratitude for the wonderful gifts conferred on them this Easter season and we look forward to celebrate the sacraments of First Communion and Confirmation with more of our students next month. At the end of February of this year, we received Fr. 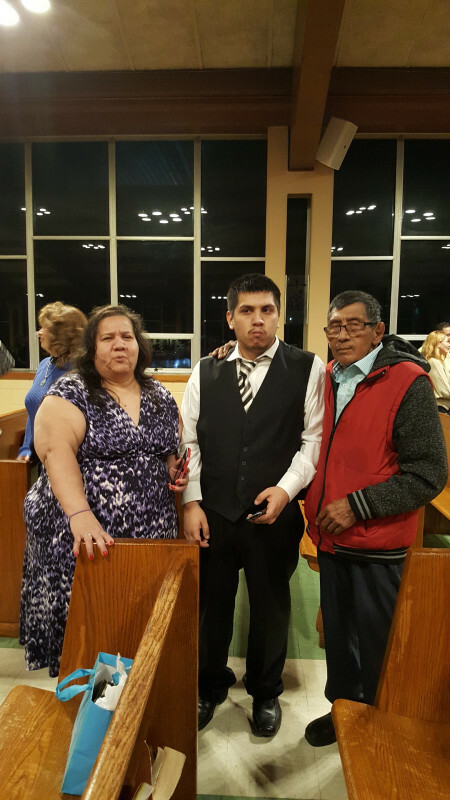 Jesus Fernandez President of our community, with the same strong and hopeful spirit with which the apostle St. Paul manifested in the various walks, visits and trips he made to the diverse Christian communities. 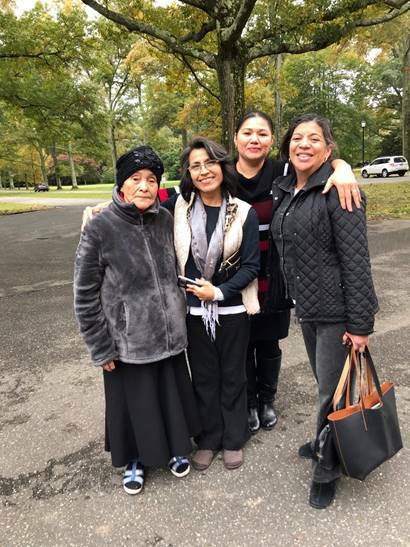 In turn, the president spent these few days with great apostolic fervor with all the Idente sisters and brothers of New York. This meaningful step in our mission of New York has signified, under various important meetings, the development and expansion of our Institution. 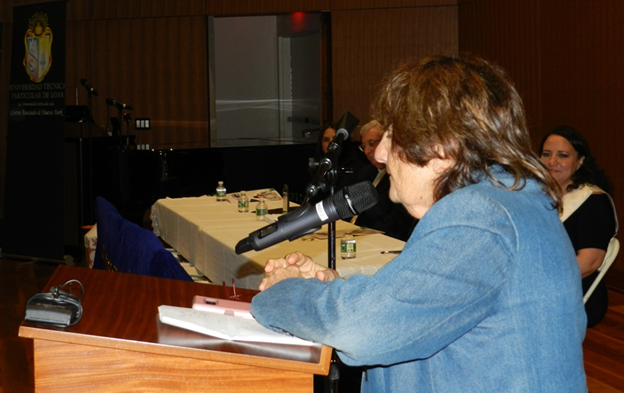 One of these meetings has been with Dr. Manuel Trujillo, a psychiatrist, for the initiation of a symposium in psychiatry, psychology and spirituality in Manhattan. 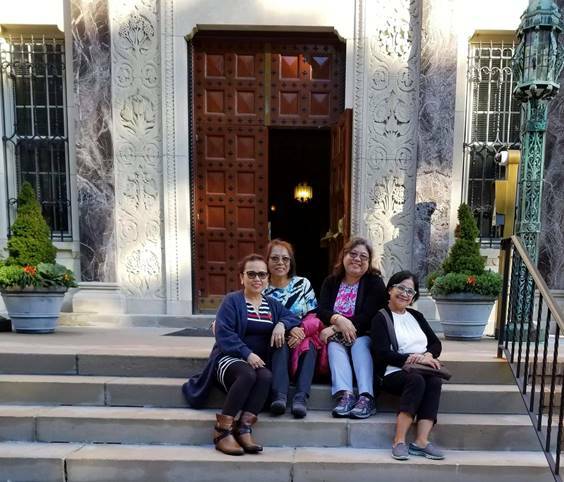 Another Project with great relevance is the re-initiation of the society of “Friends of Fernando Rielo”, formerly active during the 80’s in the United States. This past month, Annalisa Saccà, a professor at St. John’s University, along with Dr. José María López Sevillano and other friends, have implemented the first session of proposals for the study of Fernando Rielo’s thought, the organization of conferences, and outings, as well as discuss ways to promote the society in other cities. 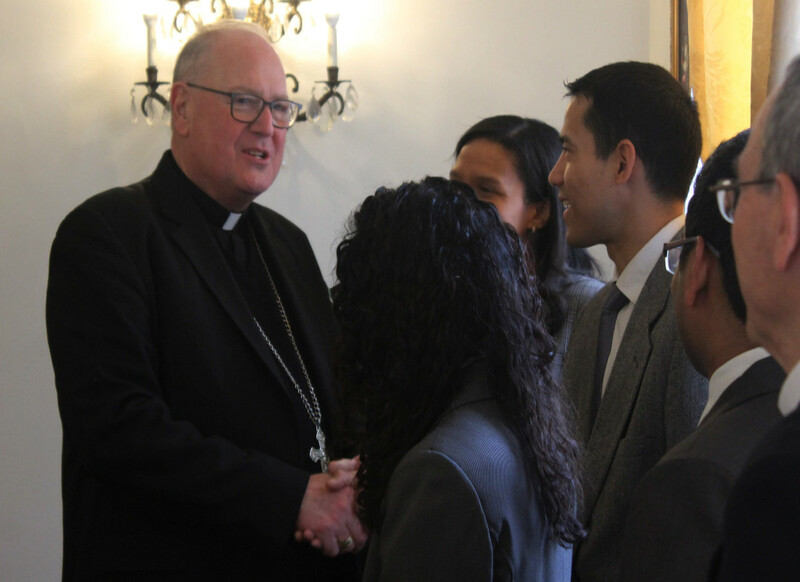 Finally, was the encounter with Cardinal Timothy Dolan, in his visit to our parish of the Bronx, which included visiting the Magi Residence of the Idente sisters, the common residence of the Idente brothers, and the Faith Formation Center. 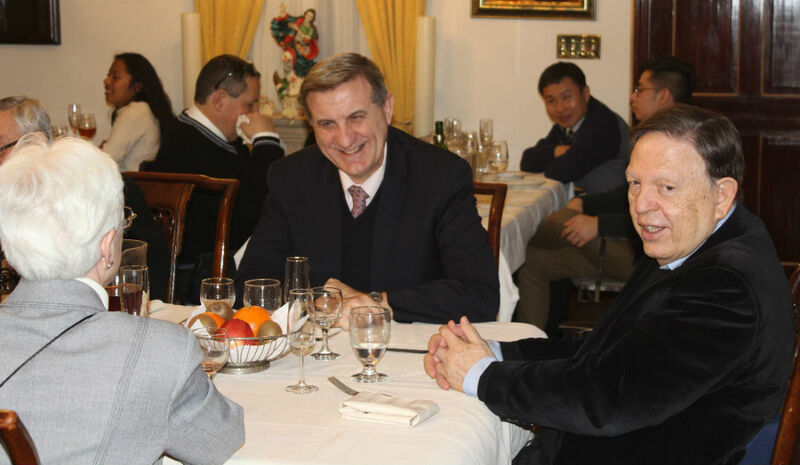 Idente sisters and brothers had lunch with the cardinal, who with great affection, joy and tenderness demonstrated his support and joy for the work carried out in the Archdioceses. On Friday, December 7, in Manhattan New York, the final resting place of our beloved Father Founder, the 14th Anniversary of his entrance to eternal life was celebrated in Saint Patrick’s Cathedral. 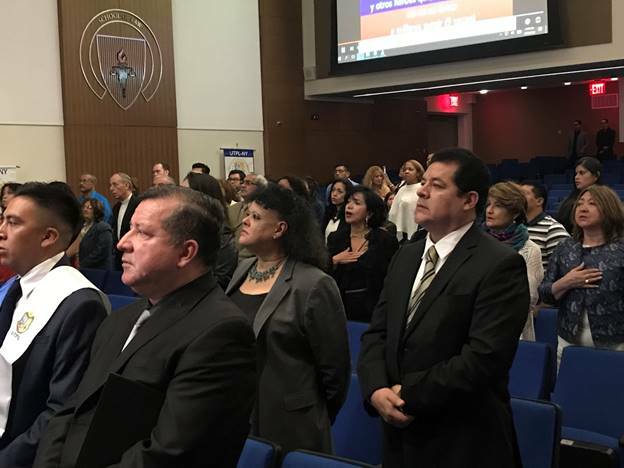 On this occasion, the President, Father Jesús Fernández and our Superiors General María del Carmen García and Luis Casasús participated in this great meeting and Eucharistic celebration of thanksgiving. Thus, in the context of the Advent season, the atmosphere in the Cathedral was one a special recollected joy, in contrast to the coming and going of the New Yorker, worried about reaching the next train, or taking the perfect photo in front of the Rockefeller Christmas tree or perhaps to find the perfect gift in one of the many shops in this busy part of the city. 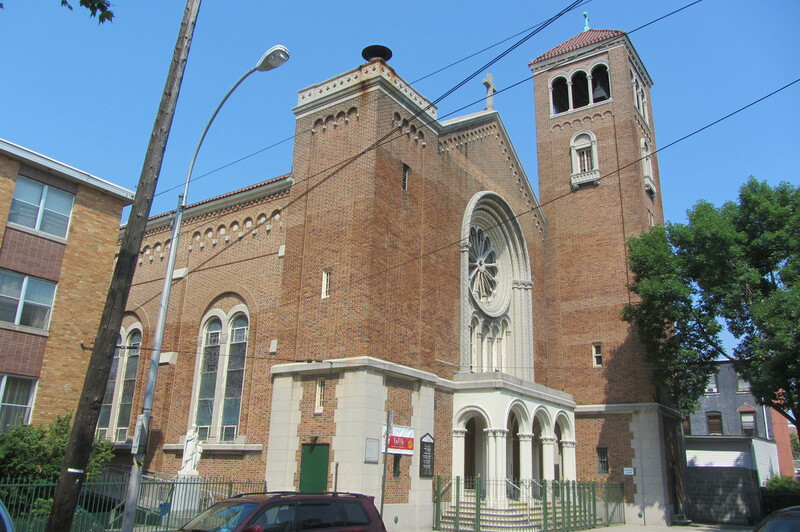 In this framework of New York daily life, 25 buses coming from the 4 parishes administered by our Institution, transported hundreds of parishioners who departed from their respective cities: St. Luke Parish in Brentwood, Our Lady of Loreto in Hempstead and three in the Bronx: St. Mary , Our Lady of Consolation and Santo Domingo. Each year in commemoration of the transit of our Father Founder, the faithful board the buses with a sense of pilgrimage where the trisagio is prayed, and each one writes his petition on small pieces of paper, that are distributed during the trip and that will be given to the Bishop along with the offerings to be placed at the foot of the Altar. About 3,000 people participated in the Mass in which the Auxiliary Bishop of the Diocese of Rockville Center, His Grace. Richard Garth Hennign, noted with admiration the presence of many young people, as well as many families. The homily focused on the meaning of the word unity and how St. Paul speaks of Christ’s invitation to participate in his mystery and in that we are chosen by him. “This invitation requires a free and loving response, as can be seen in the life of its Founder. It is not an accident that he has indicated to you to form unity with the Lord, to participate in communion; … It is very clear in the Idente community because all are participants … he has indicated the importance of communion among us because in this way we can discern God’s invitation to Divine unity, to participate in the mystery of the life, death and resurrection of Jesus Christ, because he, his Founder, has spoken to us about the community of people and that he based it on the communion between us and God … we can understand his life and message if we can remember this invitation to participate. Filled with God, filled with hope and with a happy heart, we return to our homes happy to reach the holiness in common to which our Heavenly Father invites us. Answering the call to live Holiness. 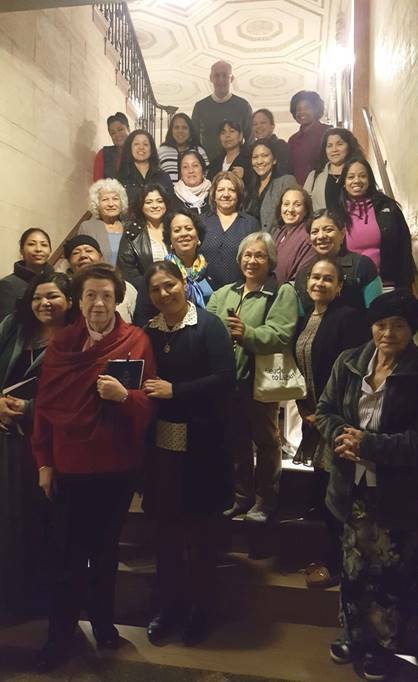 A woman’s retreat for Spanish speakers was held in the Seminary of the Immaculate Conception, on the 26, 27 and 28 of October, with the assistance of 25 persons. 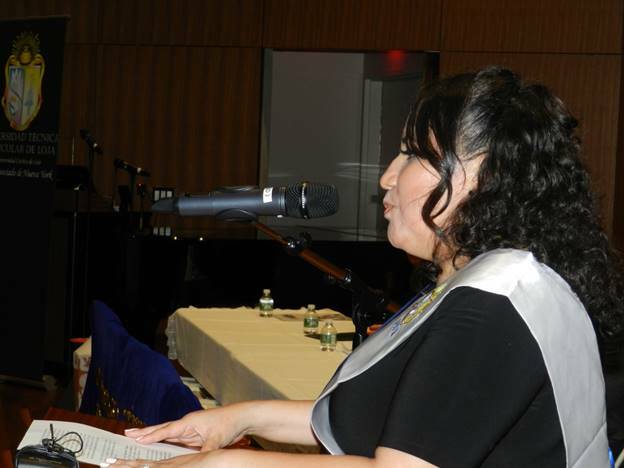 The spiritual lessons were given by the Idente missionaries Juana Mendoza and Dolores Sanchez. The topics focused on: 1) the aspiration to filial holiness, beyond the mere fulfillment of the law: The Rich Young Man. 2) The state of continuous prayer as a state of silence to all that perturbs, to listen and respond to God the Father; and 3) Generosity, pardon and joy to be confessors of the glory of our Divine Father. The retreat developed in an atmosphere of prayer, simplicity, familiarity, joy, openness, and we witnessed the fruit of conversion and disposition to change one’s life and to become apostles of God’s love and faith. 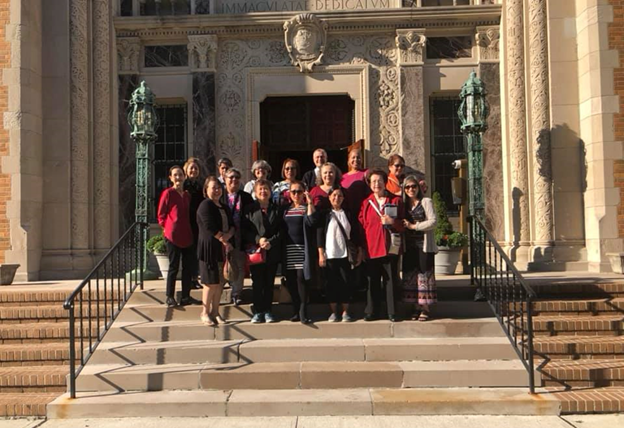 On Saturday, f. Martin Esguerra, Idente missionary visited the retreat center and invited all to the sacrament of reconciliation, followed by the vigil mass. During these three days we experienced moments of sharing, prayer in silence, meeting of communities (little groups of reflection). And we had an informal athenaeum, which was very endearing, creative and family oriented. 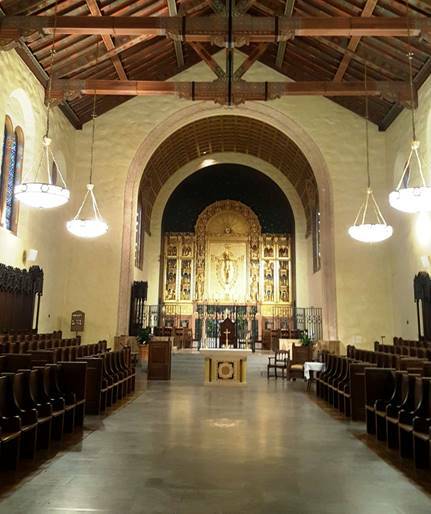 On September 28, 29 and 30 the Motus Christi annual retreat took place, this time in the Seminary of the Immaculate Conception in Huntington, Long Island. A series of talks on the spiritual life were imparted based on the Gospel, such as, “The way of life” and “Approaching our Divine Father”. A great sense of gratitude was perceived for the infinite love and mercy of God toward his daughters. God the Father, while respecting our liberty, encourages us to live holiness in common, leaving all our fears, doubts, worries and the heavy loaded baggage in our hands, which He will convert into heavenly pieces. Sharing and living together as a family was a very important part for the development and joyous fruits of the retreat. True joy and tenderness was lived during these days; as moments of re-encounter and nurture for the spiritual life. 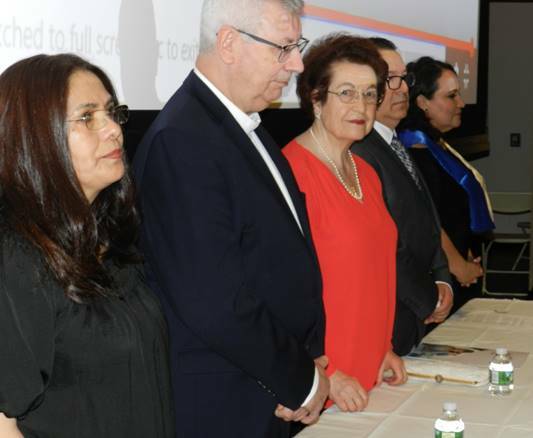 With great joy and emotiveness, on Saturday, September 22, 2018, the celebration for the20th Anniversary of the presence of Technical Particular University of Loja, Ecuador (UTPL) in New York took place. The celebration had 3 mayor parts: Historical and Testimonial, Musical Fragments, and Sharing along with appetizers. 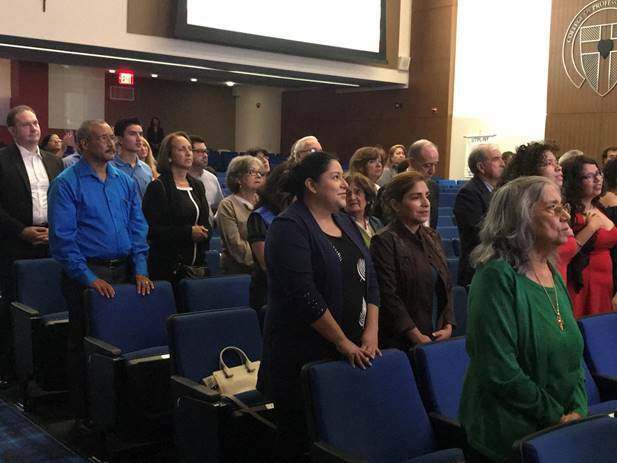 The director of the Center, Dolores Sanchez, Idente missionary, opened the ceremony highlighting the history of these 20 years and restating the first steps of the UTPL under the Idente charisma. 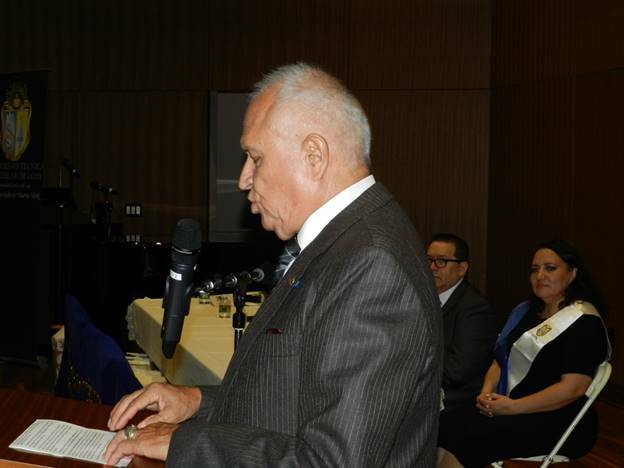 The UTPL was established in New York in September of 1988, shaped and subjected to a dream, a desire inscribed in our spirit by Fernando Rielo Pardal, Founder of the Idente Missionaries, who while being in New York welcomed the university in March 1997. This great man moved and disposed of all with the desire to help the Ecuadorian immigrants, found outside of their country, in their education and formation. It seemed like the best form and measure so that these people can open up a way in life; most of all a way of life in this immense new world of North America. 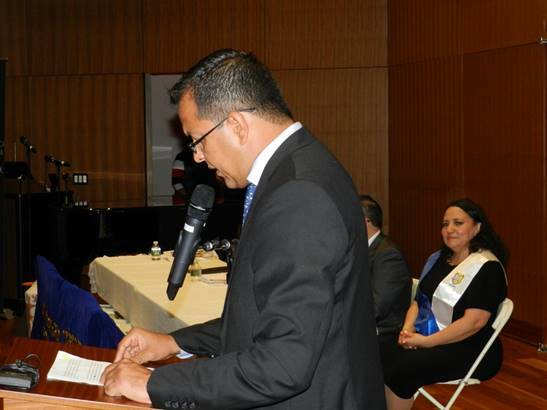 In the road of serving, from among the many achievements obtained during these 20 years, the Associate Center counts with its permanent see in Jamaica Estates (Queens); furnished with the technology necessary for its communication and activities required by the Central See in Loja. The center is equipped for the live and direct defense of thesis by the students, before the Doctors in Loja – through videoconferences. In the last 15 years we have had more than 200 students graduate. 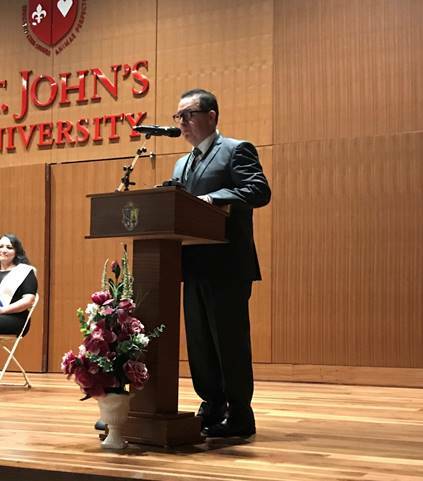 For the past 13 years our exams are being conducted in the classrooms of St. John’s University, with which an agreement has been made for the use of their library. The diffusion of the UTPL is continuous, in the tristate area as well as in other states of the USA, through the press, radio, and T.V. 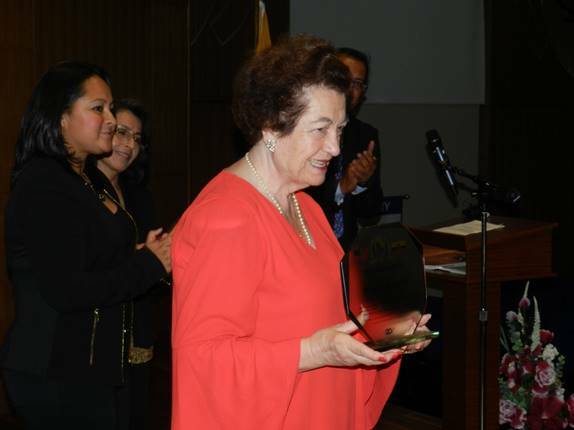 The UTPL has received more than 20 awards for its academic effort and assistance to the Ecuadorian community. 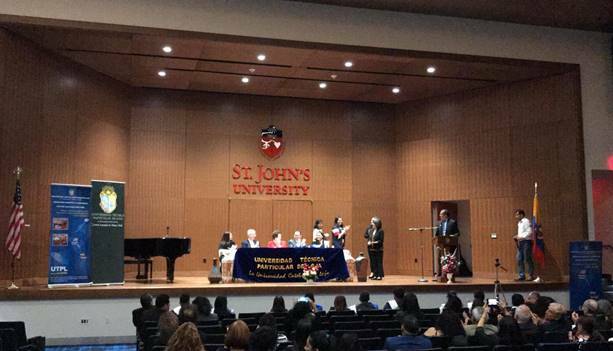 Since the decade of 2000, the UTPL is among the five or six universities in reference to Distant Education in the entire continent, forming part of the directors of the principal Latin-American, Iberian American and Inter-American networks of distant education. 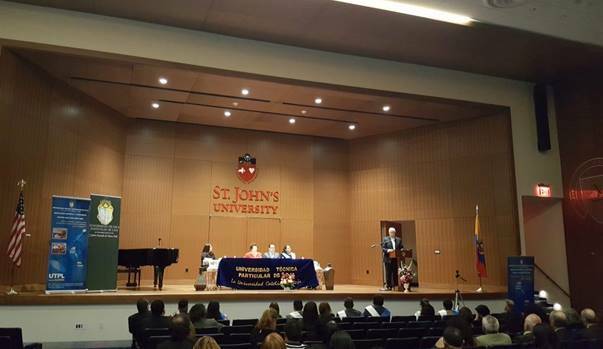 Another outstanding point mentioned by Luis Miguel Romero, is the effort of the UTPL see in Loja, to maintain intense relations with different international entities such as UNESCO, ONU, PNUD, World Bank, European Union, OEA, OEI, etc. All this, through the great effort to bring to realization the vision of the Christian Humanism, as the university’s mission: Search for truth and form the human person, through science, so that he/she can serve society. And it is this service to society, or the fourth mission of the university, the most important and which the other three missions follow: formative, scientific and promoter of the mayor and most universal horizons. 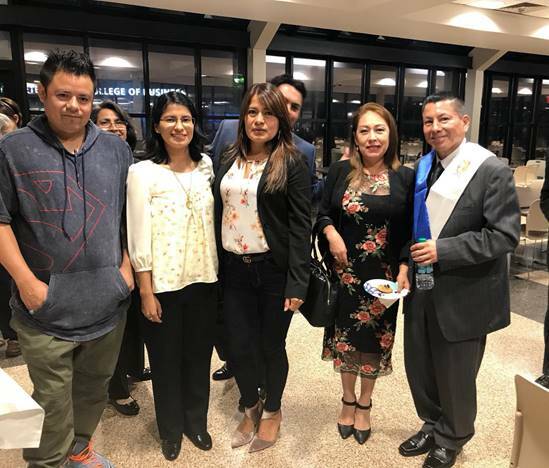 This great service, referring to our international centers, is fulfilled in providing to all of our Ecuadorian immigrant compatriots a possible university context and of quality. In this respect, the center of New York is the pioneer. 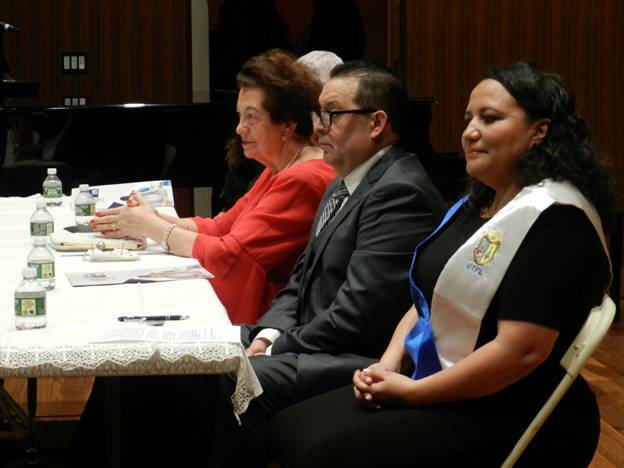 At the conclusion of Dr. Luis Miguel’s participation, we listened to the intervention of our students from among those who already graduated: Wendy Masson and Kaiser Astudillo, as well as Elsi Lorena Alban, who took up her studies and is encouraged to conclude her professional career. All of these are “utepelino” students that with great sacrifice, effort and dedication have committed themselves to academic study and responsibility, even though at -a -distance learning requires a great availability of time, for a personal, integral and quality formation. There was a vote of thanks to the distinguished representatives of the Idente community; the students, families, friends, collaborators, as well as to the public and private entities, for their presence. Also appreciation was given to the Ecuador News, LULAC, Comité Cívico Ecuatoriano, Federación de Instituciones de Pichincha, ONU, Radio canela USA – Voces Latinas, Avianca, Periodistas del Ecuador -Capítulo Nueva York, RCN Colombia, Orgullo Ecuatoriano and Nuestra Revista. 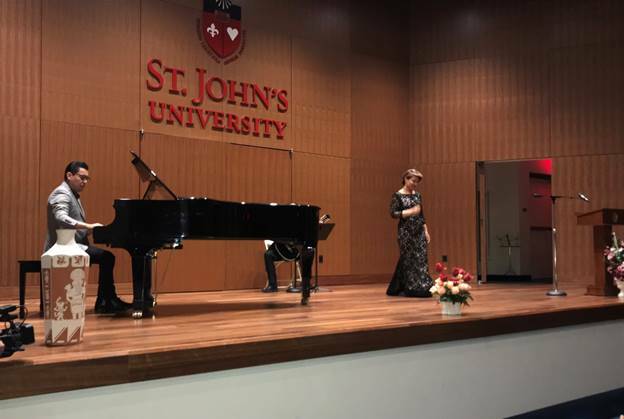 The musical segment held special reception of Ecuadorian music, with the participation of the messo-soprano Melania Maldonado, accompanied by guitarist Bolivar Guachichulca and pianist Jorge Mena. 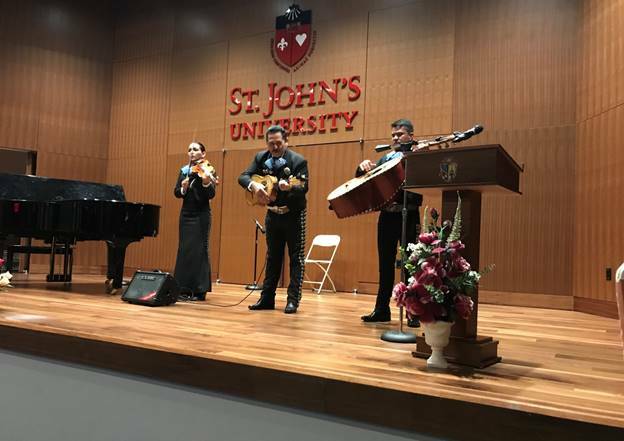 Prior to their participation, we received with great joy the musical band of Mariachi Loco de Nueva York. 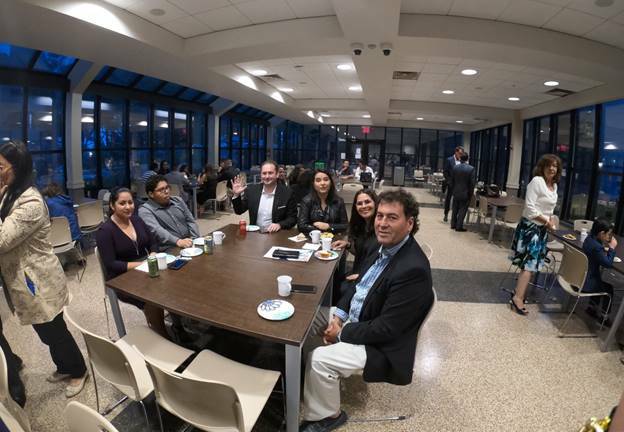 This celebration concluded with appetizers in the cafeteria of Marillac Hall, in St. John’s University. The New challenges and styles of life of an immigrant do not pose a limit to the desires of working and studying if possible. It is possible to carry out a university career, which opens up humanistic and academic ways to get on ahead, as well as greater opportunities in the working field. On Monday, July 2nd, fifty-six sleepy and excited teenagers from Manhattan, Ecuador, and our four New York parishes (St. Luke’s in Long Island, Our Lady of Loretto in Long Island, Santa Maria in the Bronx, and Our Lady of Solace-St. Dominic’s in the Bronx) boarded the bus for a three-hour ride. Their final destination was Taconic Retreat and Conference Center in upstate NY, where they began their 6-day teen camp. After unpacking, the campers took part in the first liturgical act of the camp–the raising of the flags at the mast. The camp director and national president of Idente Youth in the US, our sister Yerania Gálvez, welcomed the campers to their first day of the Idente Youth Camp, encouraging them to live the highest ideals that week by making new friendships, serving others, opening their hearts to the Heavenly Father that loves them, and ultimately create heaven on earth at the camp. She explained the three flags and the importance of the sacred circle because of the majestic blue flag, representative of our Heavenly Father. 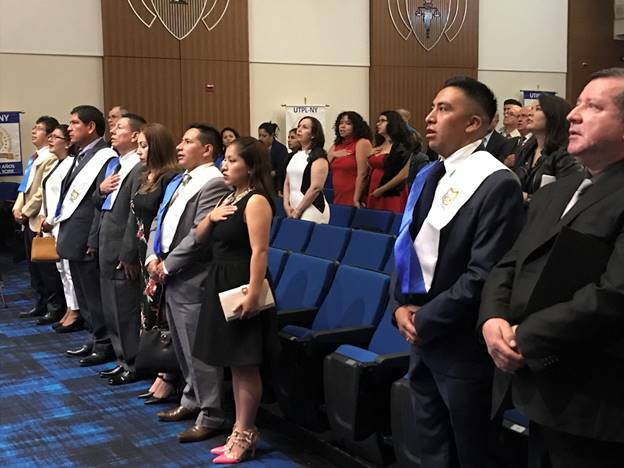 While singing the Idente Youth Hymn, the flags were raised for the first time by two of our junior professors, Marilyn Joanna Martinez and Uriel Velasco, young adults in the Idente Family. With this first solemn act of the camp completed, the professors dispersed the teens into different groups for workshops, team-building games, and seminars for the rest of the camp. The theme of the entire camp was ‘Bent, but not broken,’ inspired from 2Co. 4:8-9. It was an opportune theme for the teens of this camp due to the many issues they face at home, in their neighborhoods and in society at large. The seminars and workshops were centered around this theme with the objective of helping the teens see hope in the midst of their difficulties and view their Heavenly Father as one who unconditionally loves and never abandons. 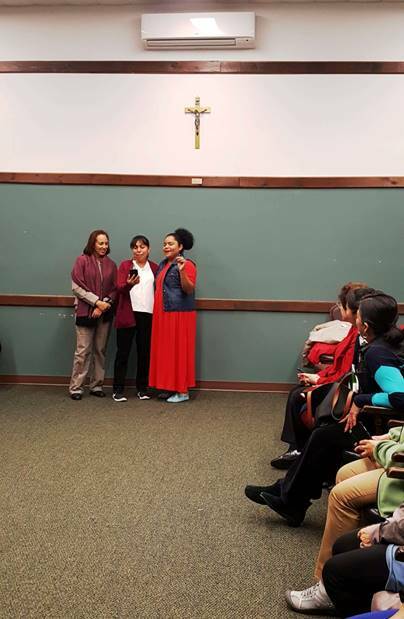 The first seminar focused on the many issues teens face that make them feel ‘bent.’ It was given by one of the Idente Youth professors, Kristallynn Leonard, a junior professor, Uriel Velasco, and our sister Yerania Gálvez. The second seminar, given by junior professors Marilyn Martinez and Mariana Martinez and our brother, Pjeter Nilaj, consisted of discussing what it means to feel broken, what occurs in those situations, and what it really means for us as children of a Heavenly Father. The final seminar was given by Joseph Mendoza, a junior professor, our sister Patricia Paz Camacho, and our brother Roland Pereira. This last seminar focused on how our relationship with the Divine Persons is the solution to feeling bent or feeling broken, and that Our Heavenly Father loves us unconditionally, despite all we may have done. The three camp seminars were headed by our sister Yerania, our brother Pjeter, and Marilyn, a junior professor. All of the seminars included skits, discussions, and very powerful testimonies from our junior professors. These, combined with the workshops, were the groundwork for conversions, renewed hope, and renewed relationships with the Divine Persons. 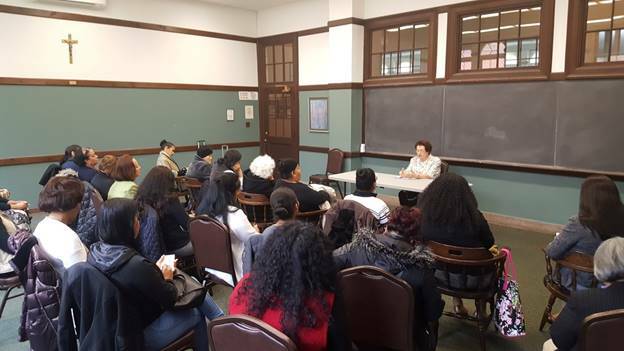 Workshops were headed by our sister Patricia, our brother Roland, and Uriel, one of the junior professors. These were run simultaneously with the seminars. In them, campers were asked to analyze the Rembrandt painting of the Prodigal Son by focusing on the merciful father; to paint with watercolors during a music therapy session; use play-doh to express positive and negative experiences; and create collages of societal pressures vs. a collage free of those pressures. These were just a few of the numerous workshops. All them were unique and were especially geared towards the two age groups–middle-schoolers and high-schoolers. Guided by our sister Patricia and our brothers Roland and Jonathan, the teamwork games helped to create a sense of unity in the camp. They required the cooperation of all campers and professors. The campers’ spirits were raised even more in these team games. They learned to rely on each other, trust each other, and work together in order to win, especially at the relay races. All the games were unique and were diligently prepared by our sister and brothers. The fire hymns helped the campers share the best of themselves. Some of the campers sang and wrote poetry for the first time at our camp. They expressed a freedom in knowing that they weren’t performing, but sharing what they had. Our brother, Pjeter Nilaj and junior professor Mariana Martinez helped to coordinate, organize, and lead the teens in their preparation for the campfire. With the help of all the professors, campers chose what to share and worked diligently to sing, dance, act, write poetry or present the camp’s news. All campers received an opportunity to share their best with others. The campers gave each other bittersweet good-byes on the last day, with the hope of seeing each other again. 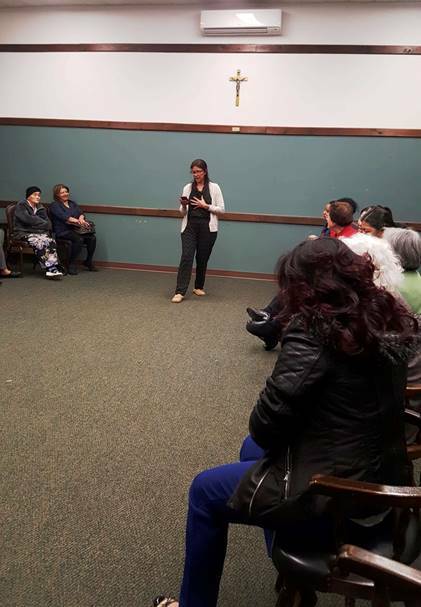 The majority of the teens are active Idente Youth members, attending the meetings in our various parish locations. 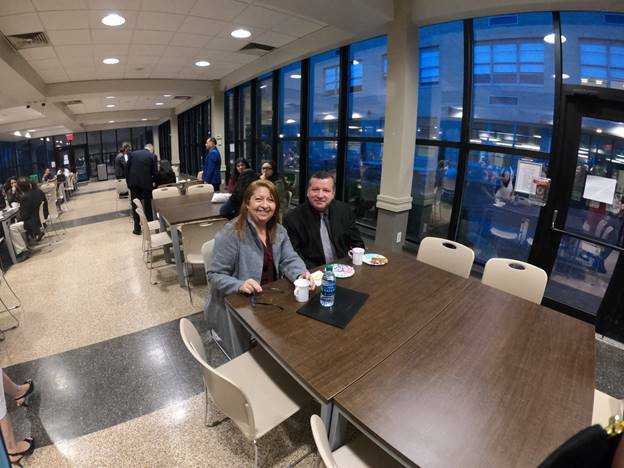 Though some already knew they would see each other at the weekly Idente Youth meetings, others promised to start attending the meetings so they might continue the new friendships made. All have expressed gratitude for the beautiful opportunity to experience an Idente Youth camp. 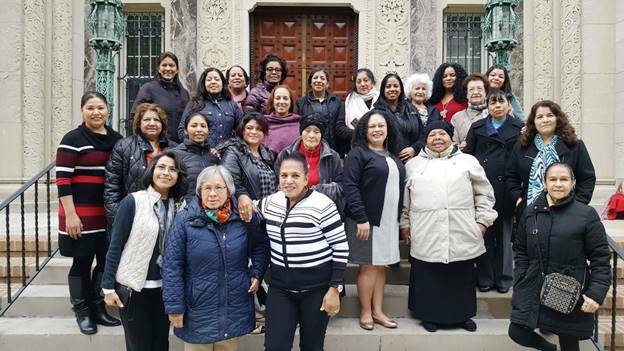 Catequetical Year Ends in our Four Parishes in New York. 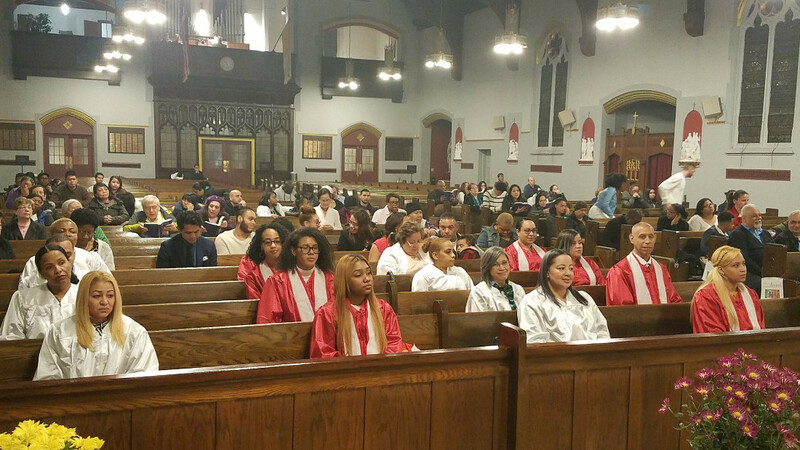 The long period of intense preparation has borne its fruit: 465 children received their First Communion, and 292 young people received the Sacrament of Confirmation. Some children and Young people also were baptized. The Sacraments were administered during the months of May and June of this year. 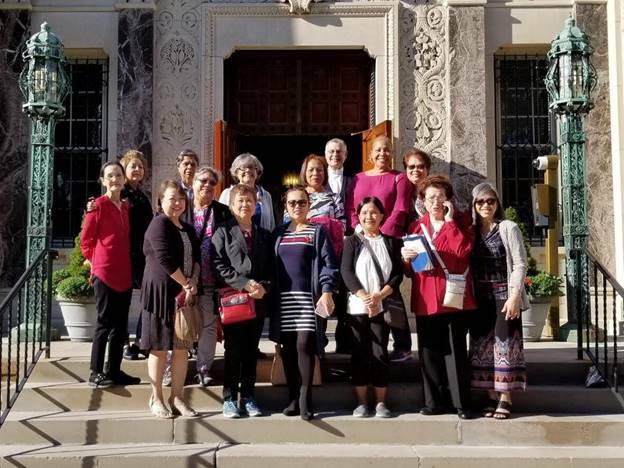 Worth noting is the cultural diversity of our parishes: The children and Young people were from Bangladesh, Ecuador, Vietnam, Mexico, Puerto Rico, the Dominican Republic, El Salvador, Honduras, Guatemala, the United States and the Philippines. 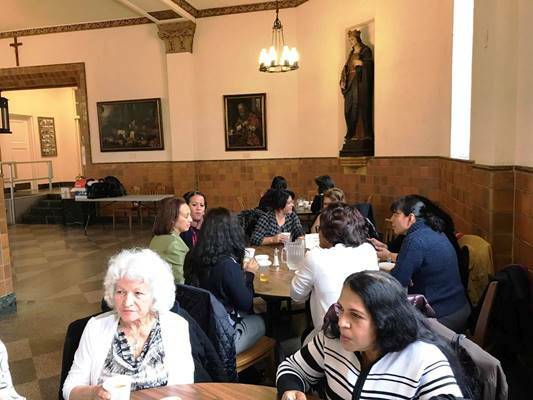 We are grateful to our catechists who, with such generosity, effort, and enthusiasm have journeyed with the students and their families in our four parishes (five churches) that we administer in the Bronx and Long Island. His Eminence Edwin Cardinal O’Brien, Archbishop of Baltimore and Grand Master of the Order of the Holy Sepulcher, presided and administered the Sacrament of Confirmation to 44 young people in his home parish, Our Lady of Solace-St. Dominic, in the Bronx, where our brother Robert Badillo, Provincial Superior of the United States, is the pastor. In the same parish, 46 children received the Eucharist for the first time. 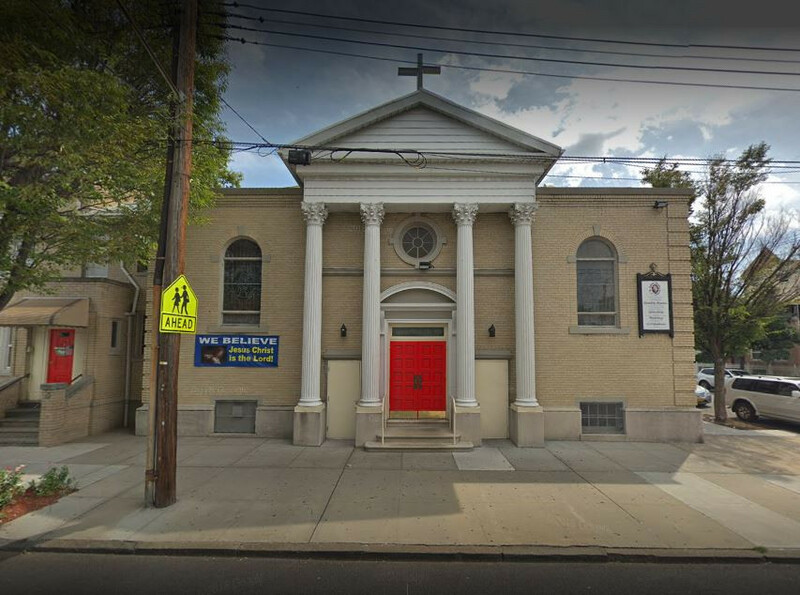 At Santa Maria Parish, the first parish entrusted to our Institute in the United States, our brother Martín Esguerra is Pastor. 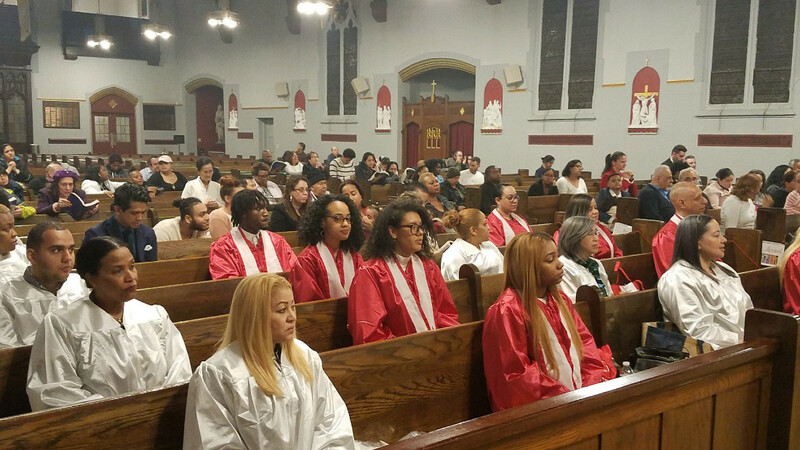 It was His Excellency Bishop John Jenik, Auxiliary Bishop of the Archdiocese of New York, who administered Confirmation to 18 young people on June 8, Solemnity of the Sacred Heart of Jesus. Five days earlier, on the Solemnity of Corpus Christi, some 30 children made their First Communion. 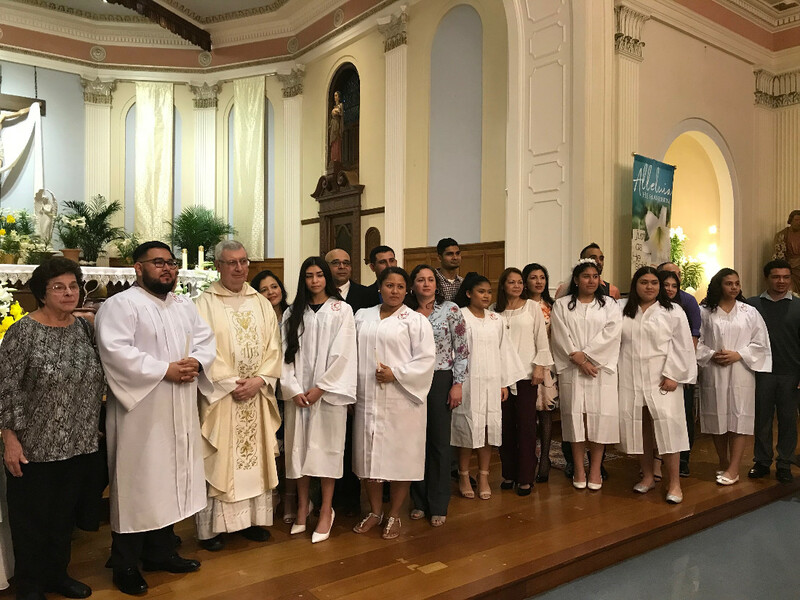 On Long Island, that same day, Corpus Christi, His Excellency Bishop Robert Coyle, a new Auxiliary Bishop of Rockville Centre, administered the Sacrament of Confirmation to 173 young people at Our Lady of Loretto Parish, where the Pastor is our brother Luis Miguel Romero. There were so many children receiving First Communion this year—270—that they could not all do it the same day, and were distributed among the first three Saturdays of May. 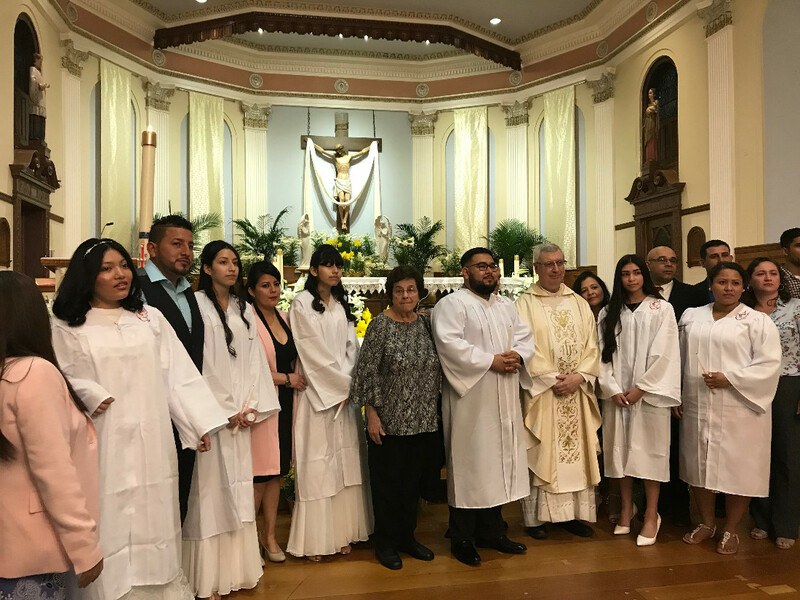 In our other Long Island Parish, St. Luke’s, shepherded since 2001 by our brother Cristóbal Martín, Confirmation was conferred the 12th of May on 57 young people by His Excellency Bishop Robert Brennan, Vicar General and Auxiliary Bishop of the Diocese of Rockville Centre. The previous Saturday, May 5, 119 happy children received their First Communion. As the year drew to a close, we invited all the children and young people who had received the Sacraments to begin participating in our activities, such as Idente Youth, the School of Acolytes, communities, social service, the World Youth Parliament, and even to help as assistant catechists. Many of them have accepted the invitation and are already enthusiastically participating, deepening their commitment. Parroquia de Santa María: Primera Comunión. Santa María Parish: First Communion. Parroquia de Santa María: Confirmación. Santa María Parish: Confirmation. Parroquia de Santa María: Confirmación Santa María Parish: Confirmation. Los misioneros Identes de la Parroquia de Santa María en compañía de Monseñor John Jenik y el padre Dixon. The Idente missionaries from Santa María Parish in company with Auxiliary Bishop Jhon Jenik and father Dixon. Parroquias de Nuestra Señora del Consuelo y Santo Domingo: Primera Comunión. Parishes, Our Lady of Solace and Saint Dominic: First Communion. Parroquias de Nuestra Señora del Consuelo y Santo Domingo: Confirmación. 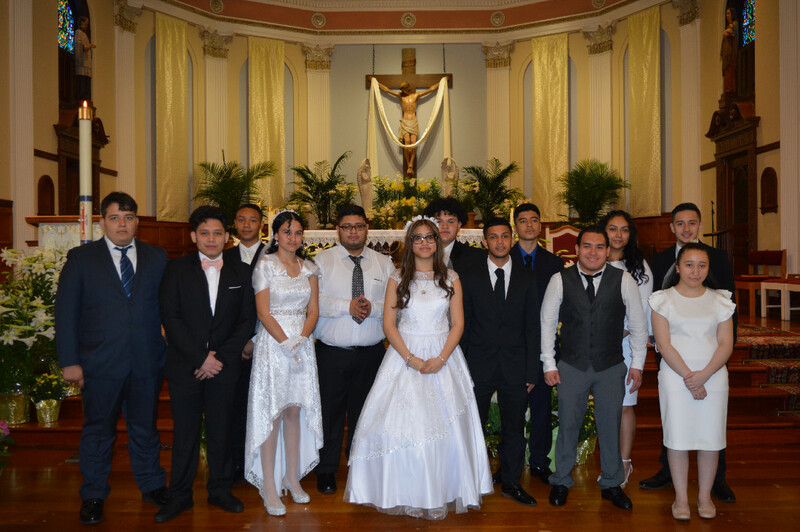 Parishes, Our Lady of Solace and Saint Dominic: Confirmation. Jornada campamental. Parroquia Nuestra Señora de Loretto. Our Lady of Loretto Parish: Confirmation Field Day. Parroquia, Nuestra Señora de Loretto: Confirmación. 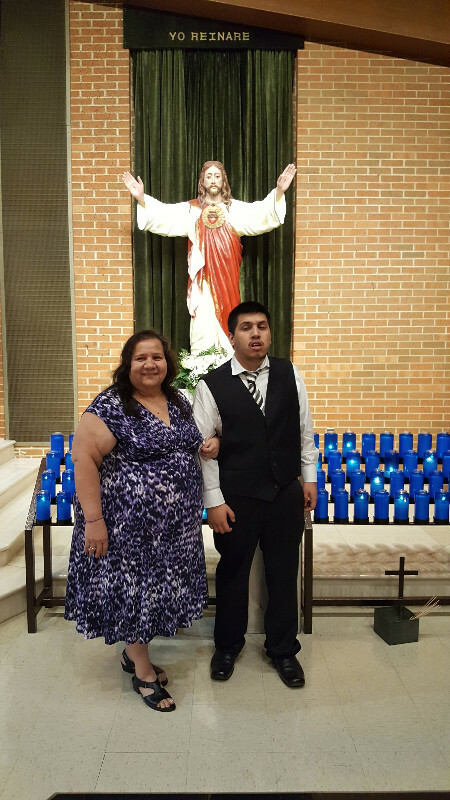 Our Lady of Loretto Parish: Confirmation. Parroquias de Nuestra Señora del Consuelo y Santo Domingo. Reconocimiento a los estudiantes. Parishes, Our Lady of Solace and Saint Dominic: student recognition. 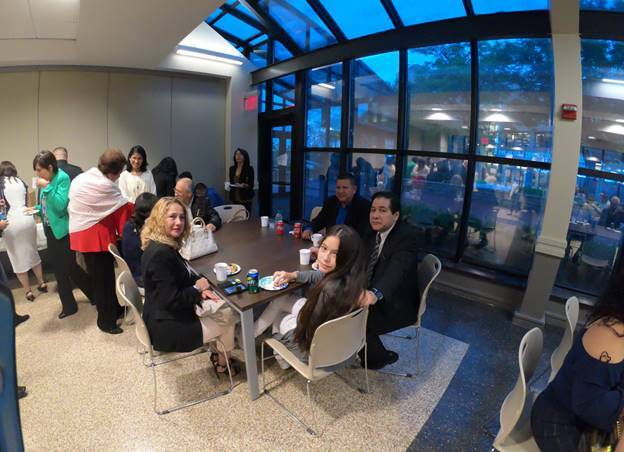 On Monday, May 28 in memory of the Nameday of Fernando Rielo Pardal we met at St. Luke’s church, one of our parishes on Long Island. Cristóbal Martin, Pastor, extended his cordial welcome presenting Robert Badillo, Provincial Superior, who encouraged us to honor the name of our Father Founder on this, his saint’s day. On this Memorial Day, we remember those heroes who gave their lives for this country; it is for us also Idente Family Day. He also expressed that we are truly blessed and happy to aspire to holiness in common, not isolated, or alone. He recalled the words of our Founder who urged us to live as an adorable family of sisters and brothers, this being the spirit of the institute and the richness of our charism. On this occasion, we had the grace of having among us our Superior General, Luis Casasús, who shared an extraordinary reflection with two key points: Conversion and Family. Recognizing that there are many ways to live conversion and that they are very different, he pointed out that the Holy Spirit is working in all of us, and as an example he recalled the story of the rich young man. He made it clear that Christ never failed in that encounter. We do not know how that scene, that encounter, affected the people who witnessed it. Jesus Then ends up in a dialogue with the apostles Jesus saying, “for men it is impossible but not for God, for God everything is possible.” And here is cause for wonder: only God decides when the fruit will appear. Thus, in speaking about family, God has given us a great treasure in children, to make them saints in the family; and the parents can also become saints. We as Idente Family, must love each as brothers and sisters. A small group of a English speaking missionaries and members of the Idente Family gathered in the chapel at the back of the church to listen to the lesson given in English by our brother Chris Morano: a heartfelt testimony of this encounter with our Father Founder and all that followed therefrom. After finishing the spiritual lesson, we attended the holy Eucharist, celebrated in both Spanish and English, with the Superior General as principal celebrant. 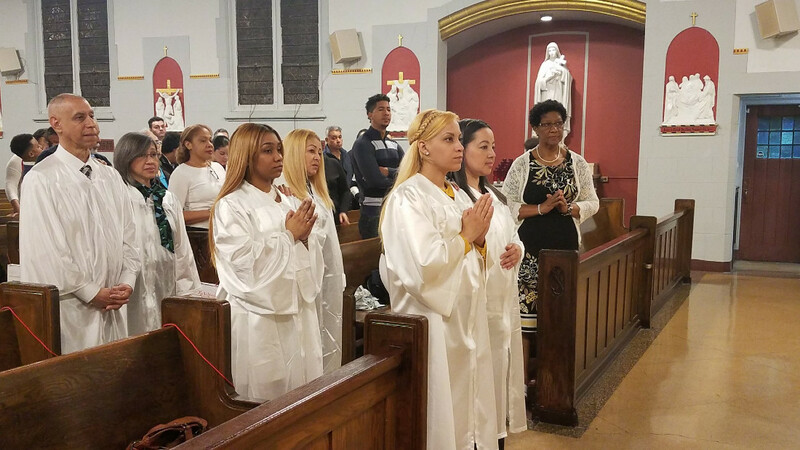 Our brother priests of the parishes of Our Lady of Loretto, Santa Maria and Our Lady of Solace – St. Dominic concelebrated the Mass, which was marked by great fervor of the daughters and sons of God. 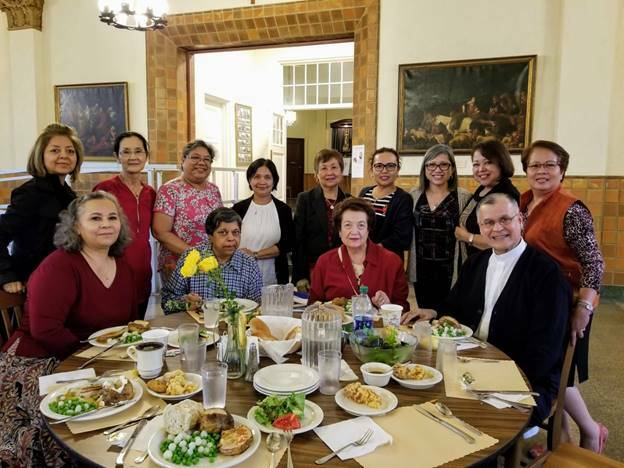 Following the Mass we went out to the church grounds to share an exquisite lunch prepared by the Guevara Flores family, a family very close to our institution who are members of our great Idente Family. It was a moment of convivium marked by friendship, dialogue and generosity among children, youth, and adults. Finally in the parish auditorium, we were privileged to see so much talent among participants in the athenaeum: a bolero, a Bolivian dance, juvenile songs, an endearing and funny clown, the mime who is a great friend and artist (who happens to be deaf), recitation from the “Hermanos Quintero”, Dominican salsa, a short story and a choir of 4 beautiful women of the Idente Family from the Bronx. The celebration was truly great, with the attendance of some 150 people. ¡¡We hope that next year we can be many more! !